Do you have a project or idea that needs an open, cleared space? Have you imagined the possibilities of your property or business and are ready to take action? Is the uneven, rocky New England ground in your way from creating the perfect outdoor entertainment setting? Laffey Construction LLC has the team and the resources to expand your yard or lot. 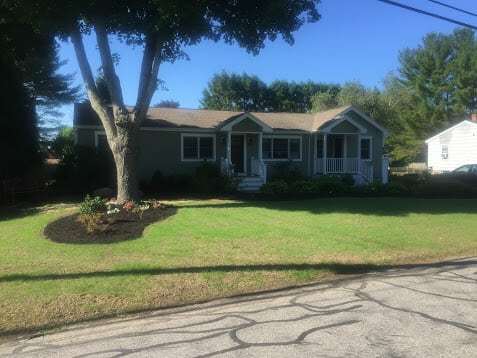 From the start of your idea, to the end results, we are the professionals in yard expansion Dover NH the seacoast area. Many of us in New England have experienced the uneven terrain that surrounds all of us. From unwanted boulders to trees placed in areas that should be getting more sunlight. Many of us hope to have a large, lush green yard. We will safely and with precision, clear out the unwanted nuances in your yard, so your ideas can blossom. If you an idea that needs space, call us right away to schedule your consultation. Our professional team is ready to make your ideas happen. We are the leading professionals in yard expansion and are ready to take on your project. The team at Laffey Construction has the equipment and the knowledge to safely and reliably give you the groundwork to complete your project.